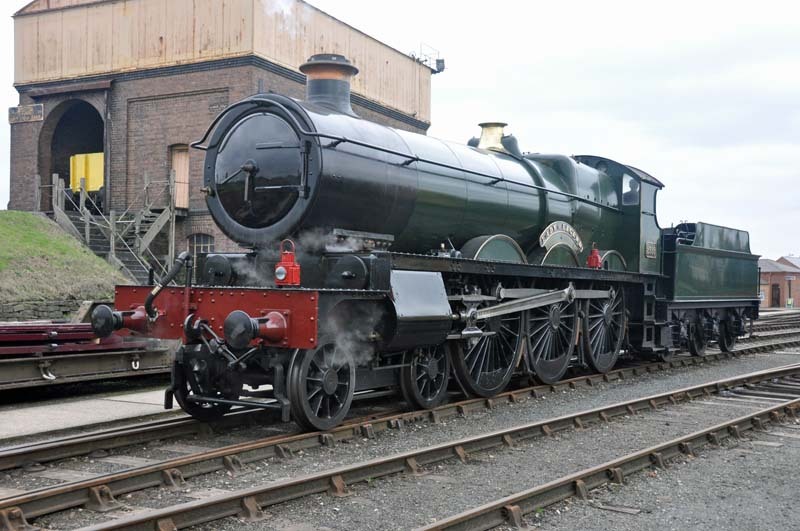 Launch weekend for Saint Class no.2999 Lady of Legend. 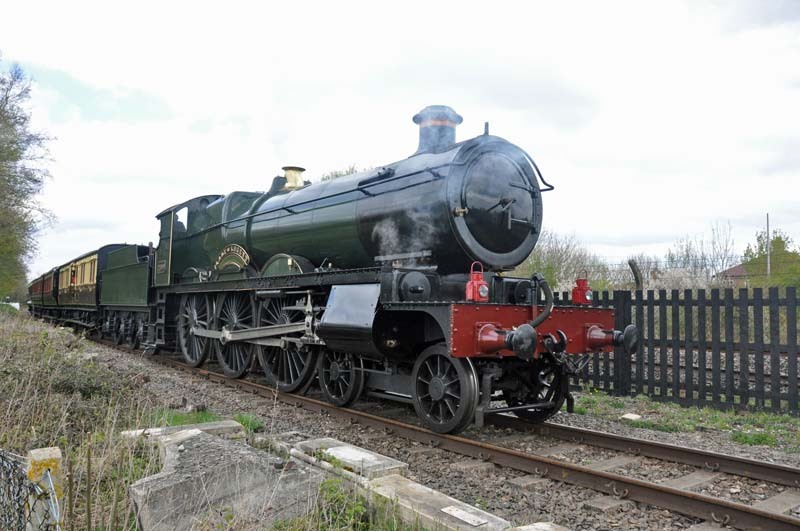 2999 Lady of Legend on the main demonstration line. 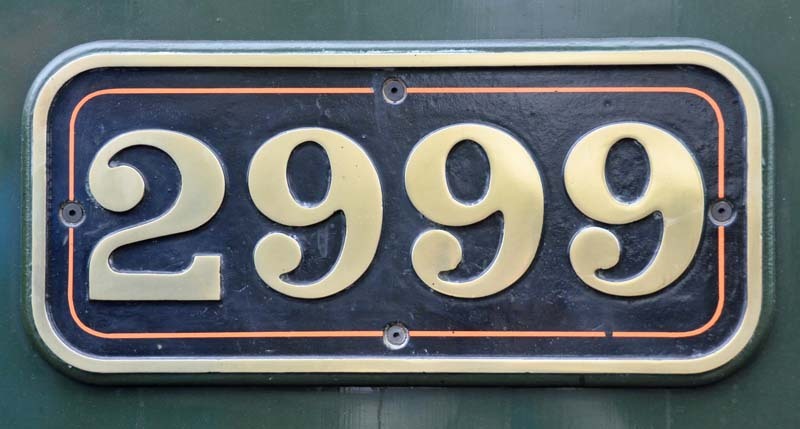 The new number plate, the last of the GWR's Saint class was number 2998 Earnest Cunard. 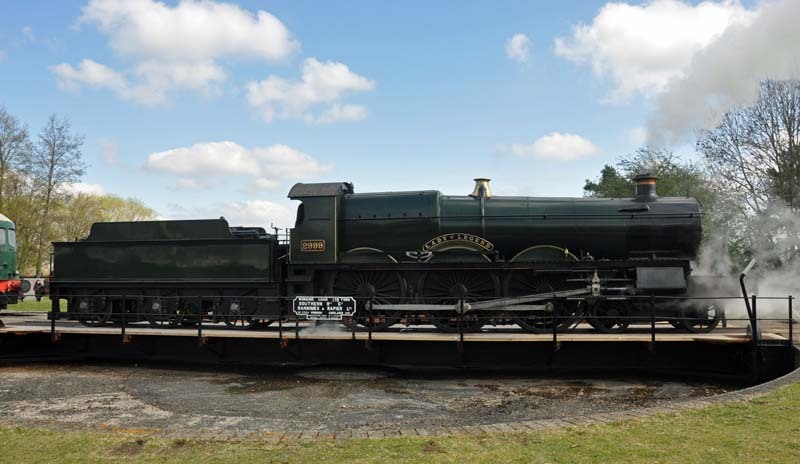 2999 Lady of Legend on the turntable. 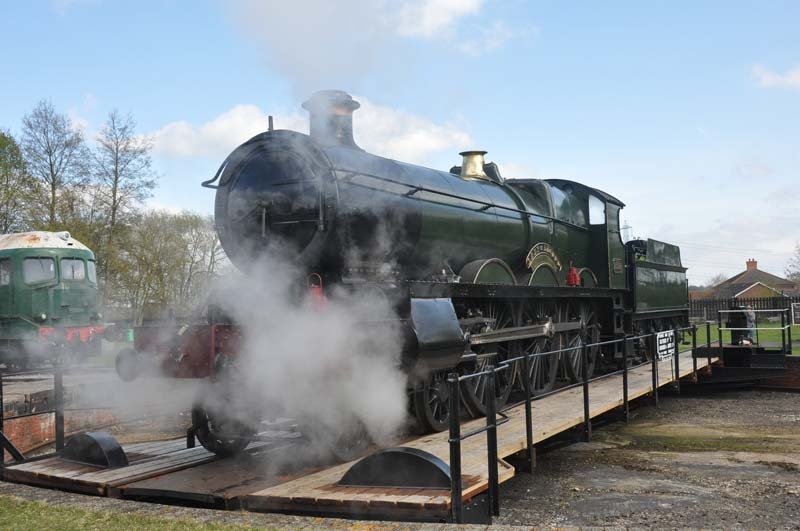 2999 Lady of Legend leaving the turntable. 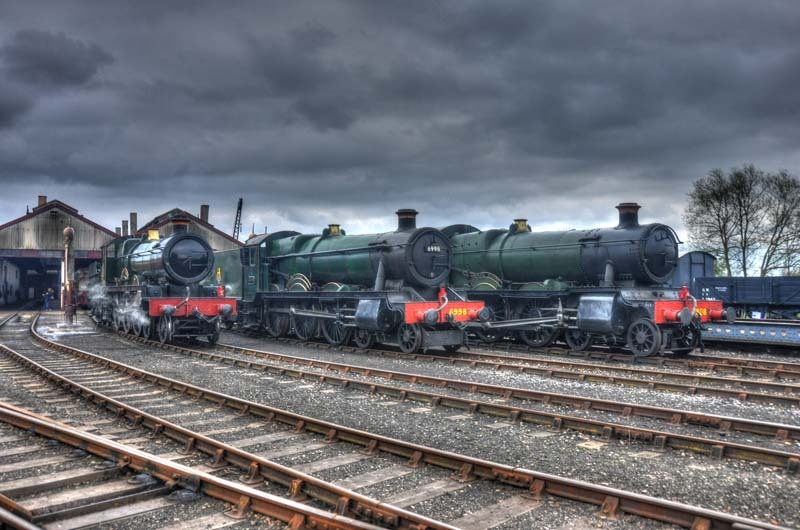 The days 'supporting cast' no. 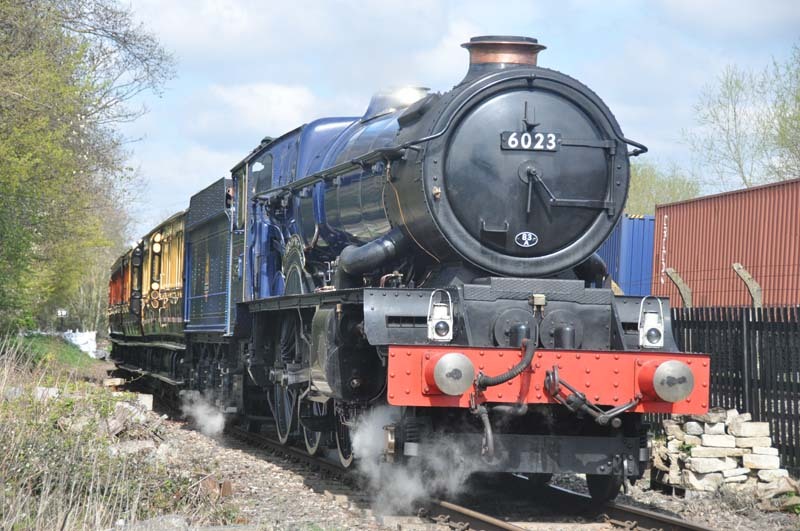 6023 King Edward II on the main demonstration line. 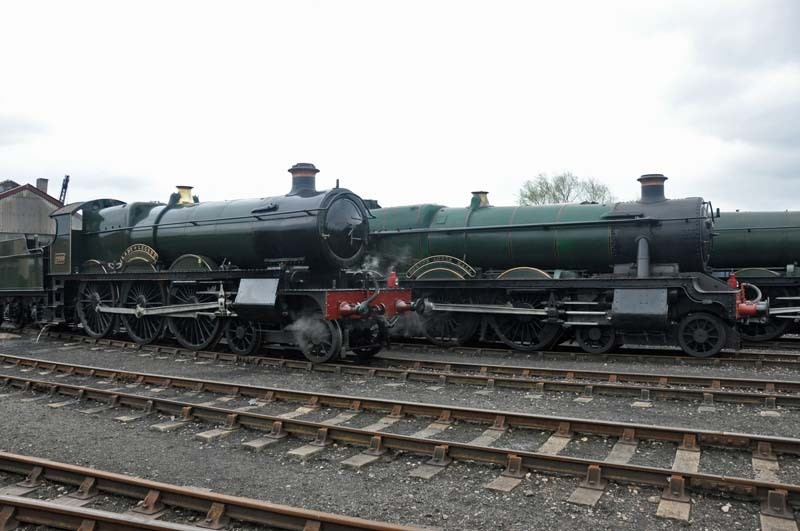 6998 Burton Agnes Hall and 7808 Cookham Manor outside the loco shed. 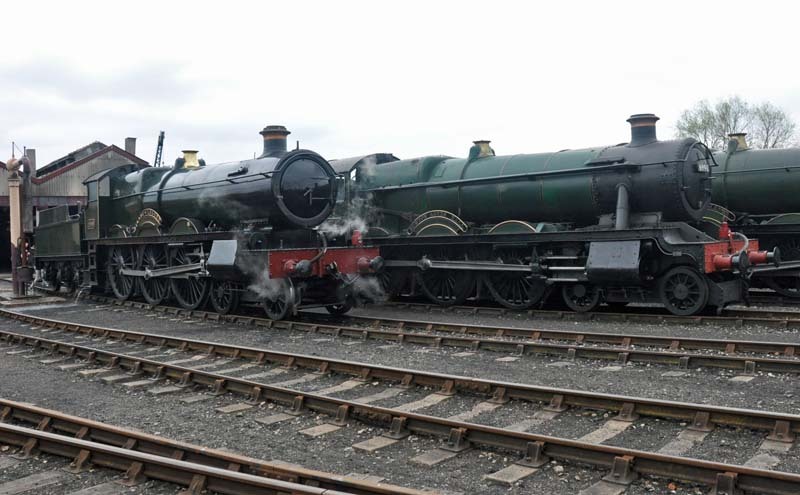 2999 Lady of Legend back on the main demonstration line. 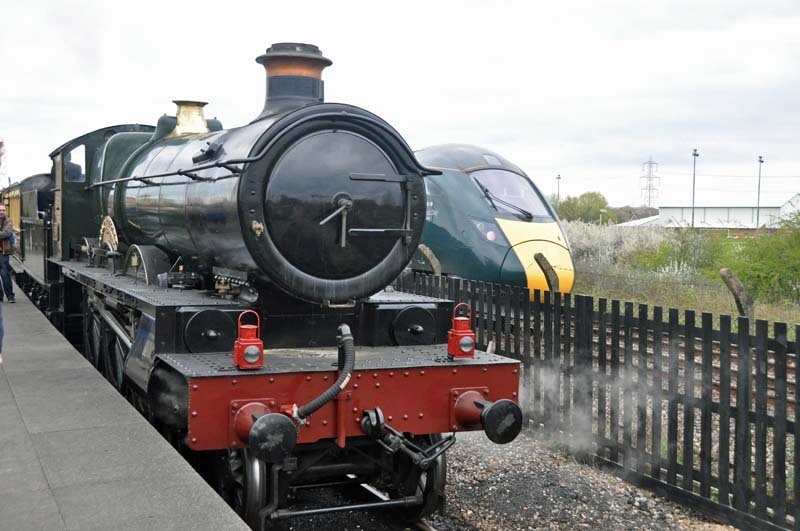 2999 Lady of Legend at the station on the main demonstration line as one of the new class 800 units passes by. 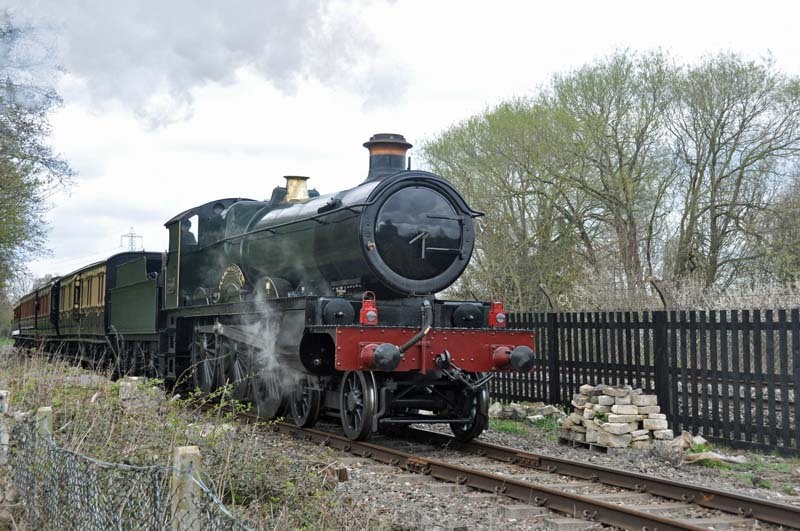 2999 Lady of Legend on the main demonstration line with the restored vintage coaches. 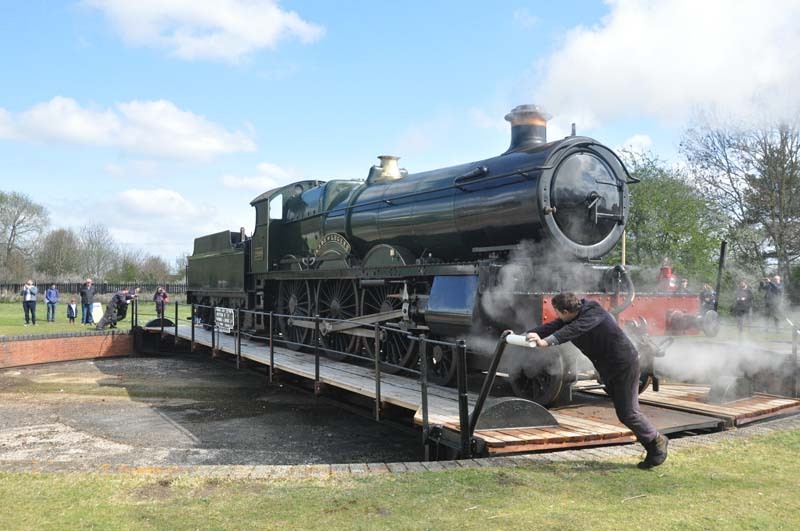 2999 Lady of Legend passing the coaling stage. 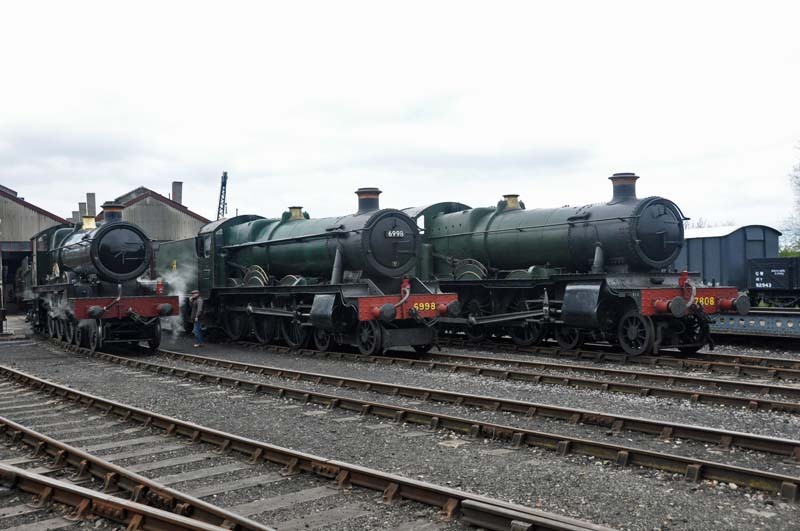 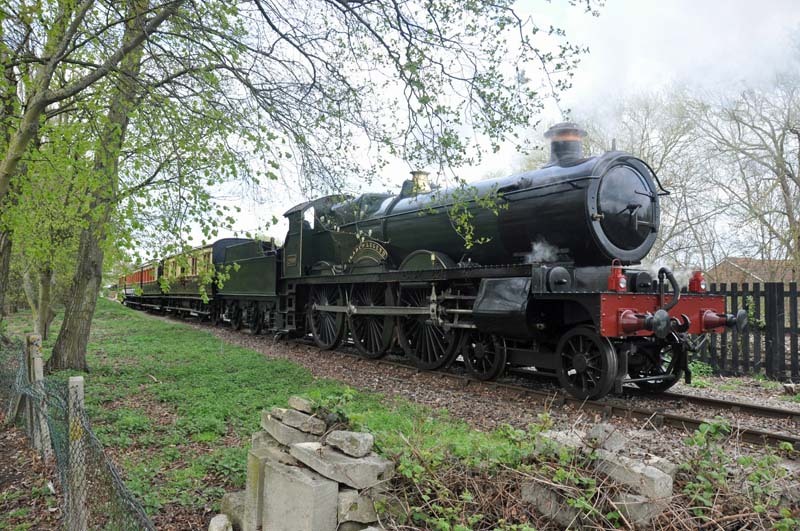 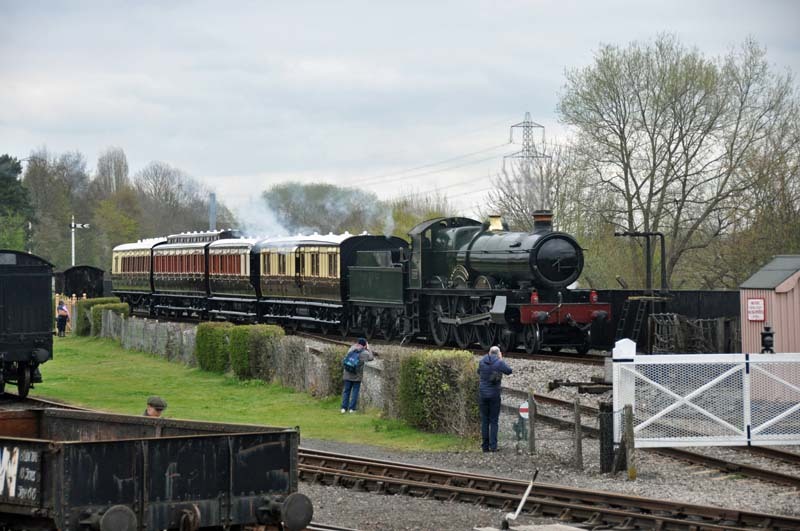 2999 Lady of Legend along with 6998 Burton Agnes Hall and 7808 Cookham Manor outside the loco shed. 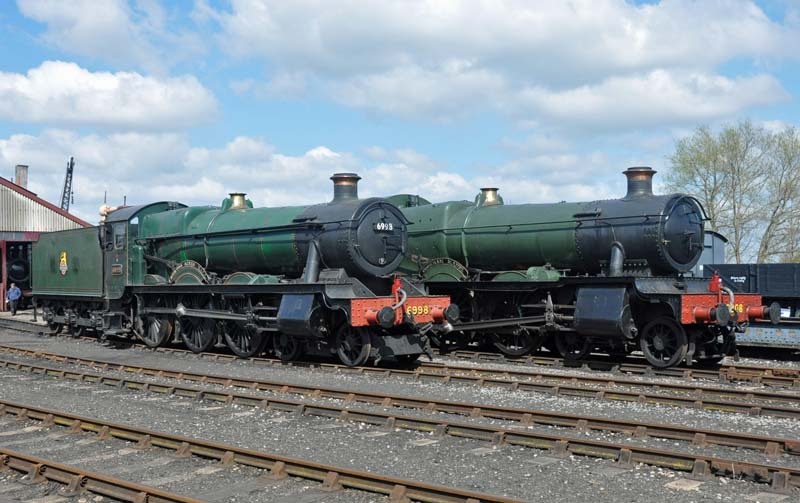 The Hall class was a development from the Saint class, here both can be compared. 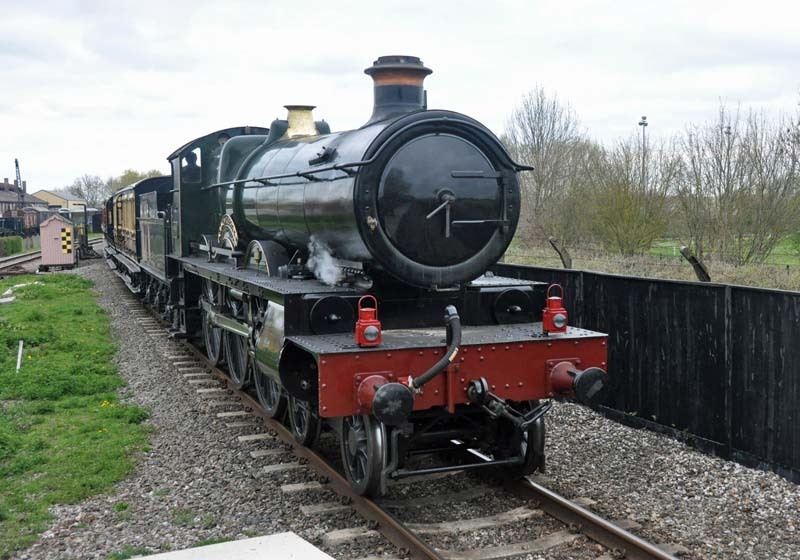 to recreate a representative of a member of a missing class of loco in the history of GWR locos. 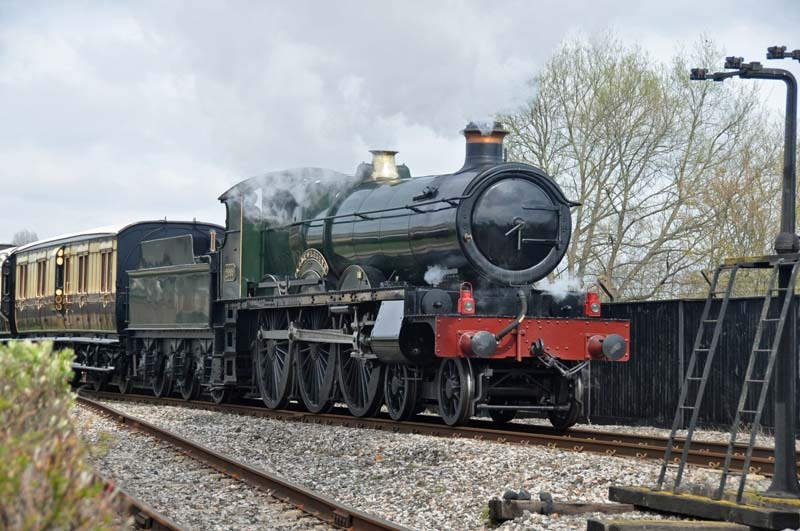 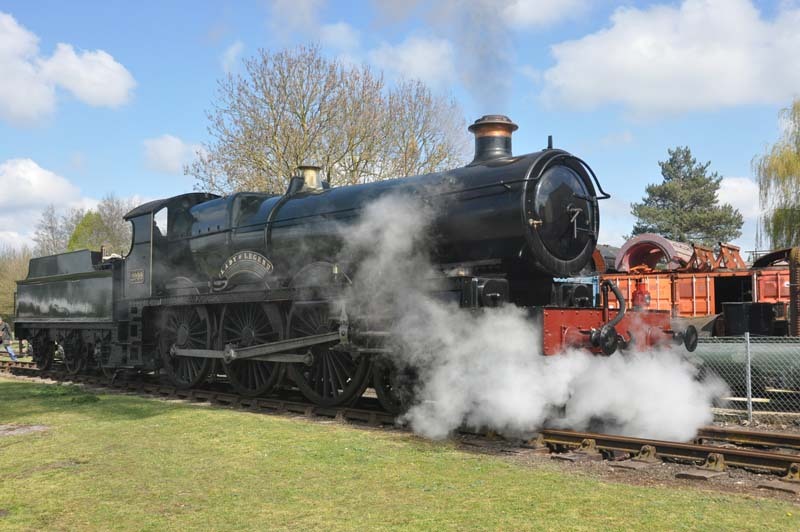 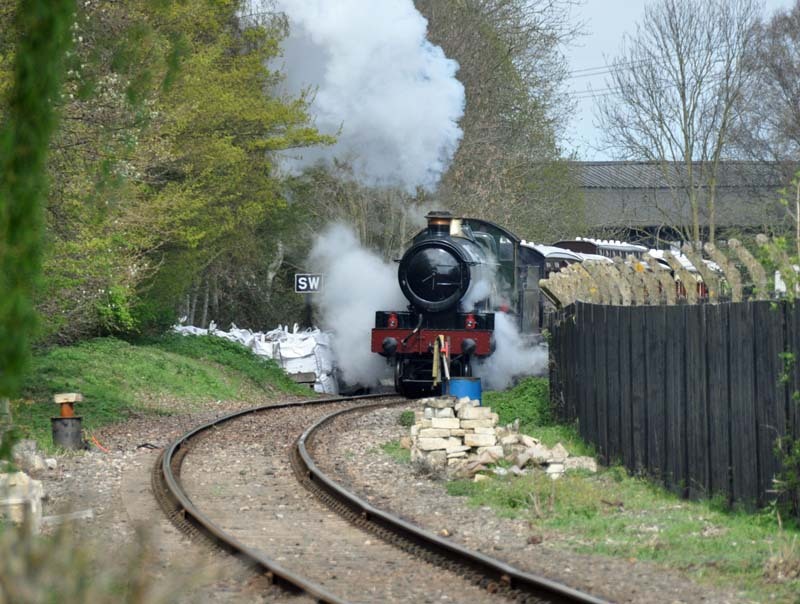 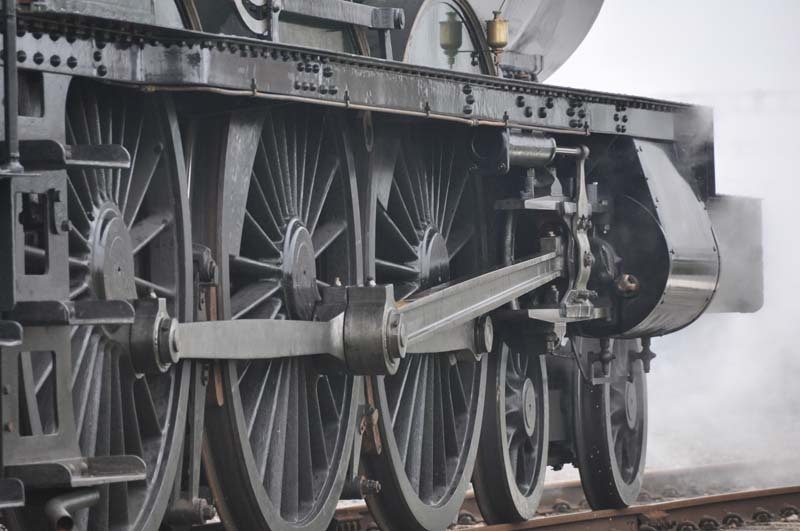 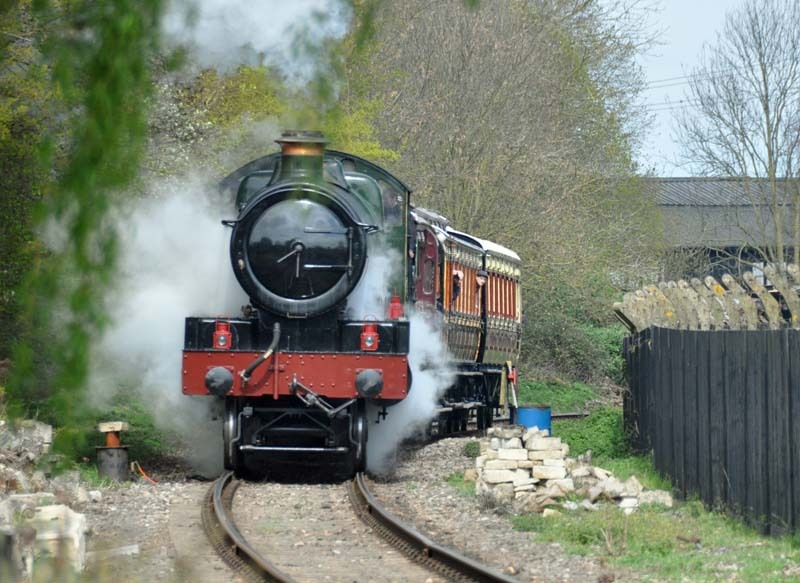 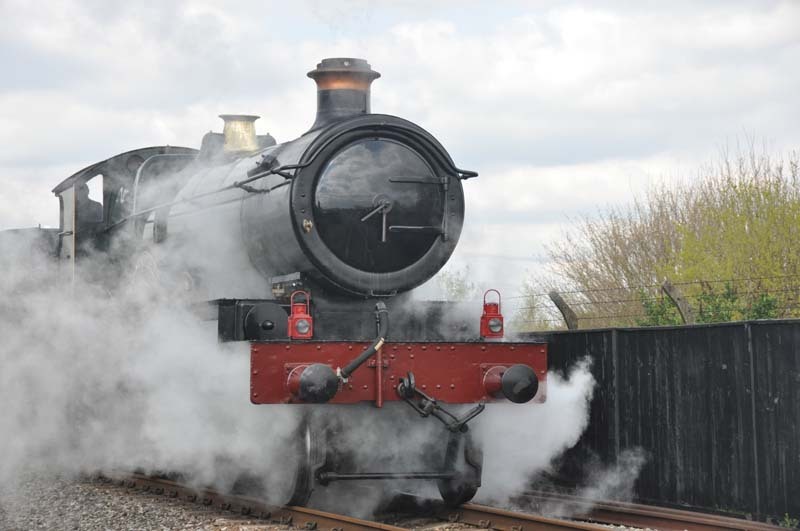 Back to the Didcot Railway Centre Page.